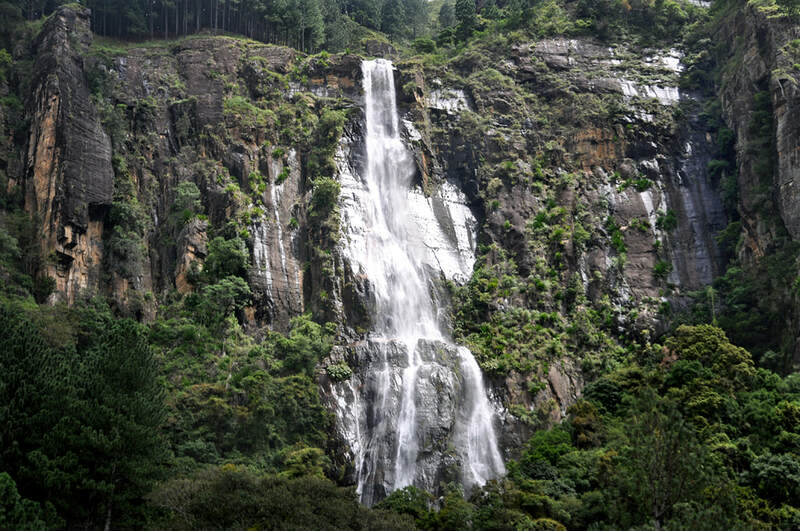 With a height of 241 m, Bambarakanda Ella at the foot of the Horton Plains massif is the tallest waterfall on the island of Sri Lanka. 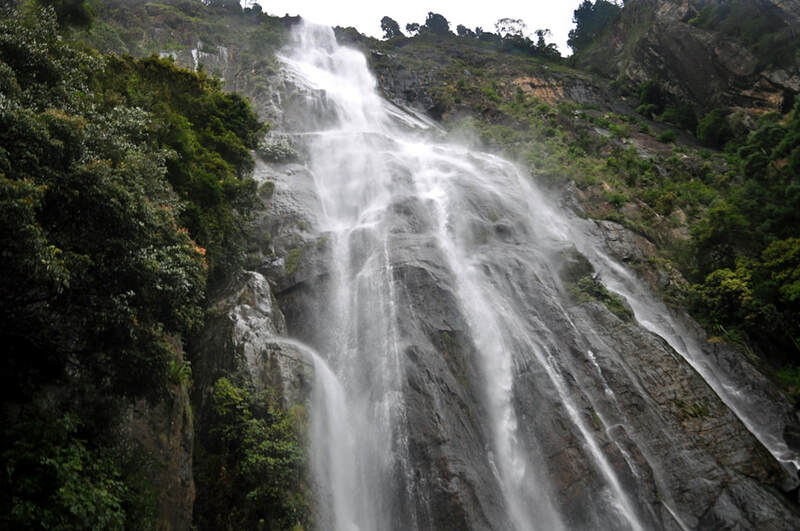 According to Wikipedia, it measures 263 m and ranks among the 300 tallest waterfalls in the world. Bambarakanda Falls, sometimes called Bambarakele, descends a very nearly vertical rock face. The horsetail waterfall is formed by Kuda Oya, which is a tributary of Walawe Ganga, the major river of southern Sri Lanka. Locals say, the rocks to the left of the waterfalls show the silhouette or shadowy outline of an embracing couple. Situated in Kalupahana in Badulla District, Bambarakanda can be reached via a 5 km long gravel road branching off from the Colombo-Batticaloa main road A4 at Kalupahana junction near Weli Oya Bridge. 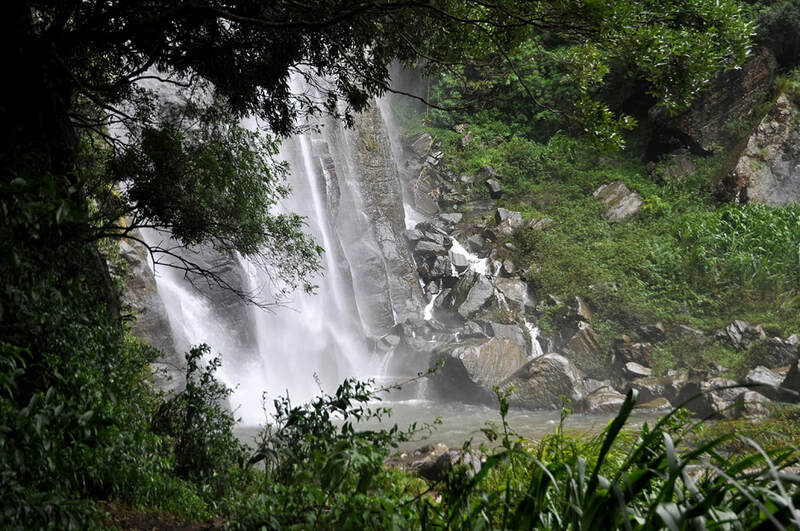 A footpath of about 300 m length leads from the car park near the Bambarakanda Holiday Resort through a pine tree forest to a rock pool at the foot of the waterfalls. The elevation of the pool is about 1100 m above sea level. There is another path to the crest of the waterfalls. The best time to visit Bambarakanda Ella is March or Easter Hoildays, soon after the end of the local rainy, when the path is drier and the weather becomes sunny again, but it’s still the period of best flow of water. During the local dry season, particularly in August and September, Bambarakanda Ella receives much less water and almost disappears.